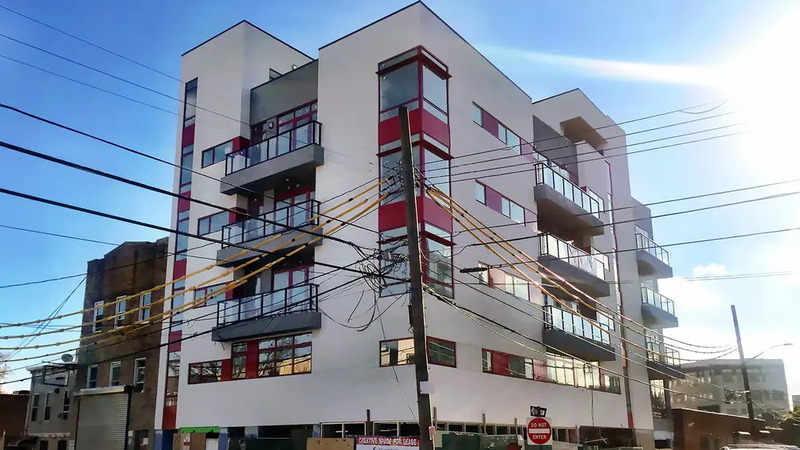 The Bauhaus-styled rental building at 32-04 38th Avenue in Long Island City's Dutch Kills neighborhood, has just began leasing apartments. The 6-story mixed-use building contains 20 studios and one-bedroom residences. 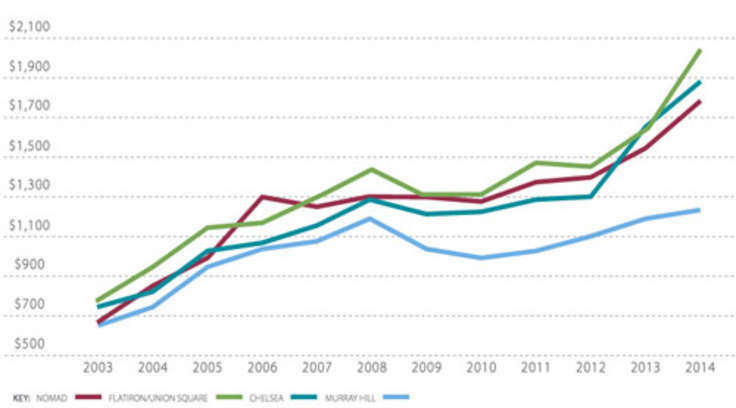 There are currently five units for rent, a studio for $2,000/month and one-bedroom units starting at $2,350/month. 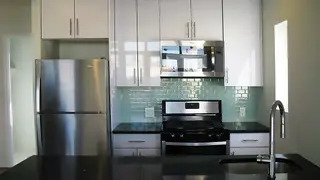 The complex also features a luxury one-bedroom duplex with a private terrace for $2,625/month. Expected occupancy is April 15th. 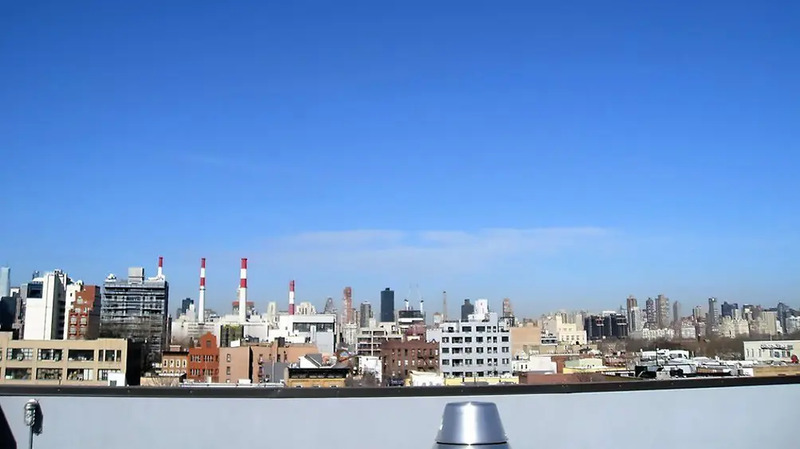 AYG Enterprises developed the building and enlisted Brooklyn-based ND Architecture & Design, whose projects include Williamsburg developments like 1SEVENTY and The Garnett. 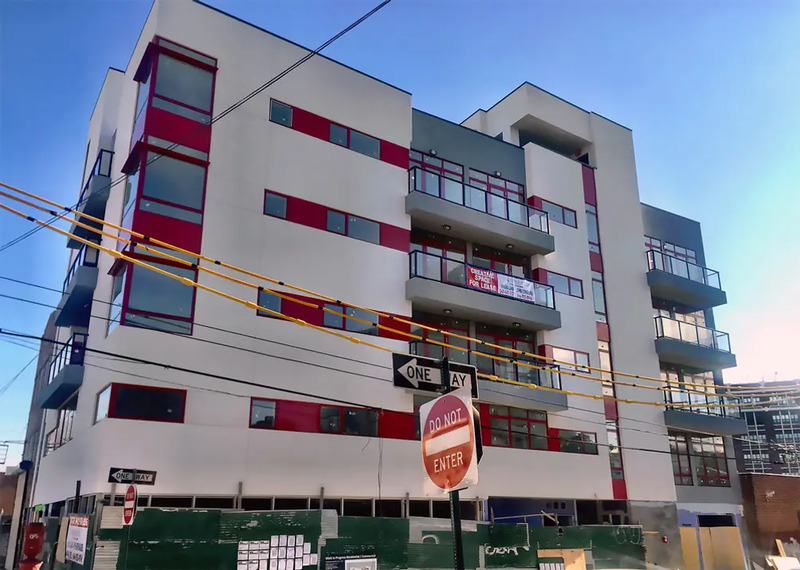 32-04 38th Avenue has a distinct white and gray exterior highlighted by simple rectangular shapes and by red accents - all characteristics of Bauhaus design. While floor-to-ceiling windows are all the rage these days, it looks like the architects opted for a different approach. Residences feature hardwood flooring, stainless steel appliances, washer/dryer hookups, a kitchen island, high-end countertops and fixtures, large soaking tubs, and balconies. The layouts are open, spacious and provide plenty of closet space. Building amenities include a virtual doorman, roof deck, laundry room, bike storage, package room, and indoor parking for an additional monthly fee. 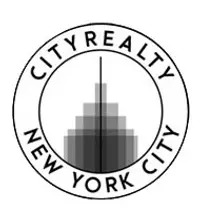 This vibrant development is also conveniently located close to the N/W/7/R/Q/F/E subway stations and just 10 minutes to Manhattan. 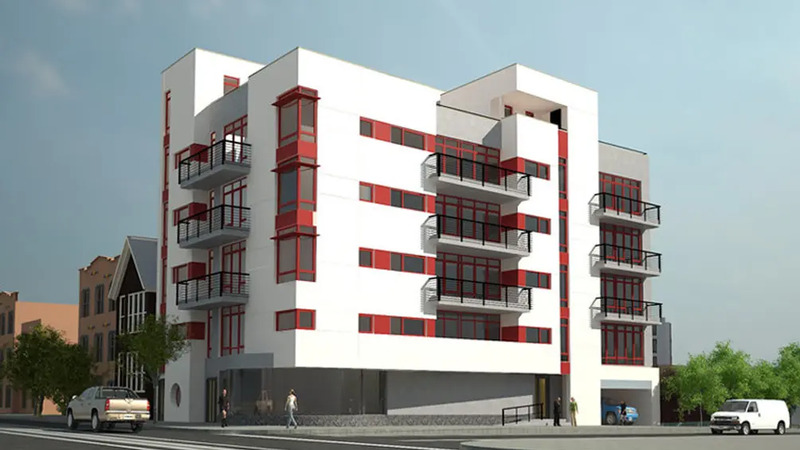 32-04 38th Avenue is one of few new projects in the surrounding area, with the 94-unit rental at 33-01 38th Avenue situated a block away.